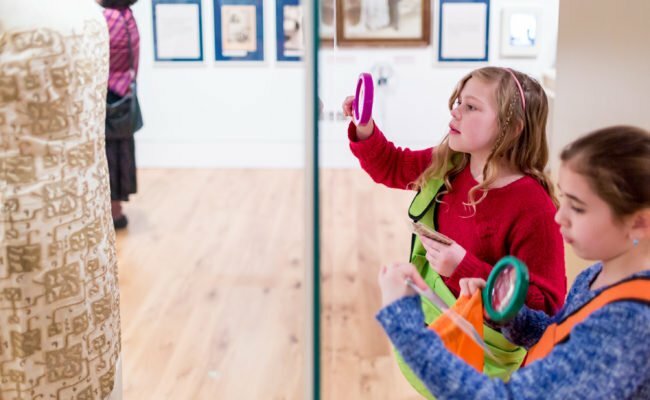 The museum is packed full of hands-on, interactive displays and fun activities; perfect for families to explore together. We have high chairs, baby-changing spaces and lift access to all our galleries to make your visit comfortable and enjoyable. Explore our hands-on permanent galleries. Dress up in a wedding outfit, play our great migration board game and sing in our Yiddish Theatre karaoke booth. Visit our family-friendly café and enjoy delicious bagels and other Jewish food. Take part in colouring and puzzle activities in our cafe’s Activity Zone. Don’t miss our family favourite objects and interactive displays. Look out for our family events and workshops. Stop by our shop and buy a fun souvenir of your visit. Borrow one of our free family backpacks and explore the museum through creative, fun and engaging multi-sensory activities. Enjoy hunting for objects, learning a new language and taking part in a creative activity. Check out our fun family workshops every second Sunday of each month. Get crafty in the Activity Zone in our café. Use a magnifying glass to find the animals in our Judaism Gallery. Put the medieval jug back together and match up the items in the pedlar’s basket in our History Gallery. Explore the museum with our ‘Curious Crowns’ (5-7-year-olds) or ‘Jewish Journeys’ (7-11-year-olds) family backpack. Try on Jewish items used in prayer, and play and learn with our synagogue model. Try our Family Military Trail. Drop-in Arts and Crafts (10am-5pm Welcome Gallery). 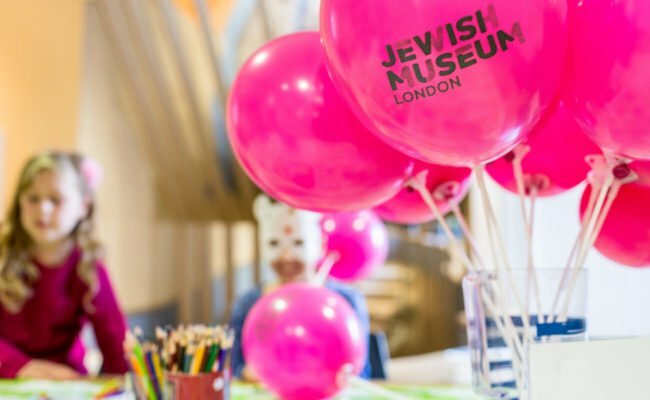 Children under the age of 12 must be accompanied by an adult at all times whilst visiting the Jewish Museum. The museum cannot take responsibility for unaccompanied minors.